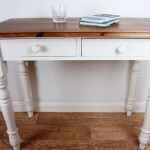 Solid pine writing desk, painted in Annie Sloan’s Original. 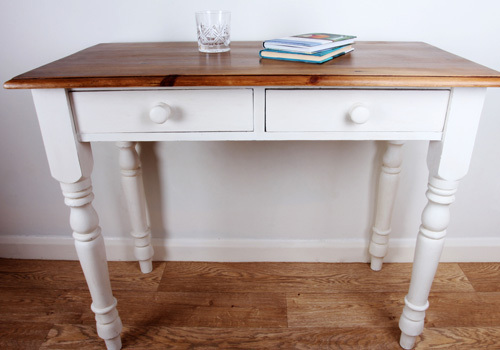 Lightly distressed with dark wax to highlight carved detail. 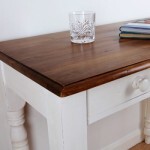 Rustic pine wax table top finish to enhance the natural woodgrain. 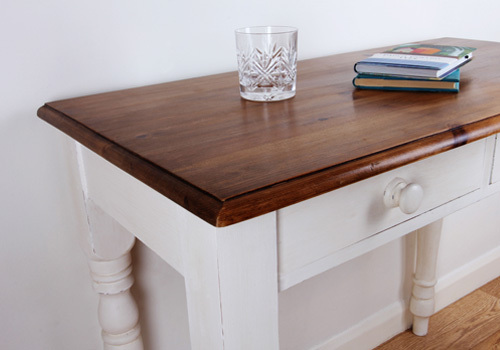 © 2019 Hannah Mary Interiors. All Rights Reserved.